Basecamp is situated in Weligama, a diverse and colorful village in southern Sri Lanka. 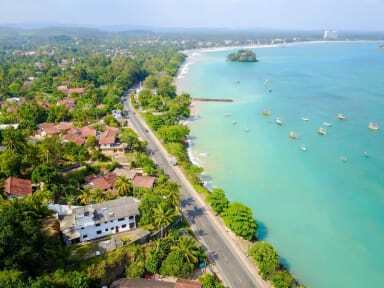 We are located just across from Weligama harbour overlooking the beautiful ocean. We have 8 rooms in total and a very spacious garden. From our yoga level you can enjoy the view that overlooks almost all of Weligama bay and is also the best spot to enjoy the sunrise and sunset.